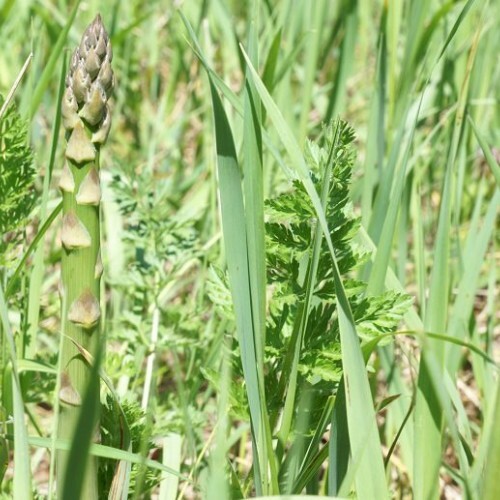 Owens Valley asparagus comes from the rather legendary area of eastern California where water is highly sought by many different interests. The geology is diverse and the environment not particularly forgiving somewhere between a desert, an oven and a mountain meadow. Dense granite rock as well as the lower elevation make water a precious commodity. 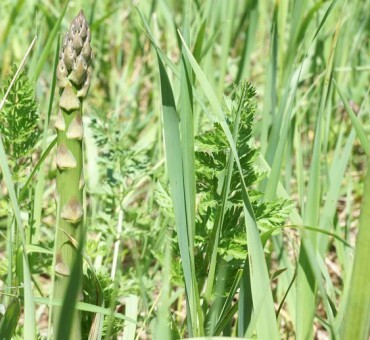 The seed strains of this wild form of asparagus has somehow carved out a niche in this rather desolate landscape. This selection roots very well and may be worth propagating from cuttings due to its pernicious nature. Easy to grow. Plant 4 feet apart each way. Robust strong plant-long lived perennial.